Why you should be looking to disrupt the product and service offering in your arcade or FEC. Every so often, industry experiences a paradigm shift – a fundamental change in how things are done. Most of us have lived through the transition from cassette to CD to streaming music (some of us are even old enough to remember 8-tracks!). Similar comparisons can be made for many industries across the globe, and out-of-home entertainment is no different. Sometimes disruption happens outside of our control and we must adapt to it. We can also intentionally create disruption through our products and services to create deeper engagement with guests. 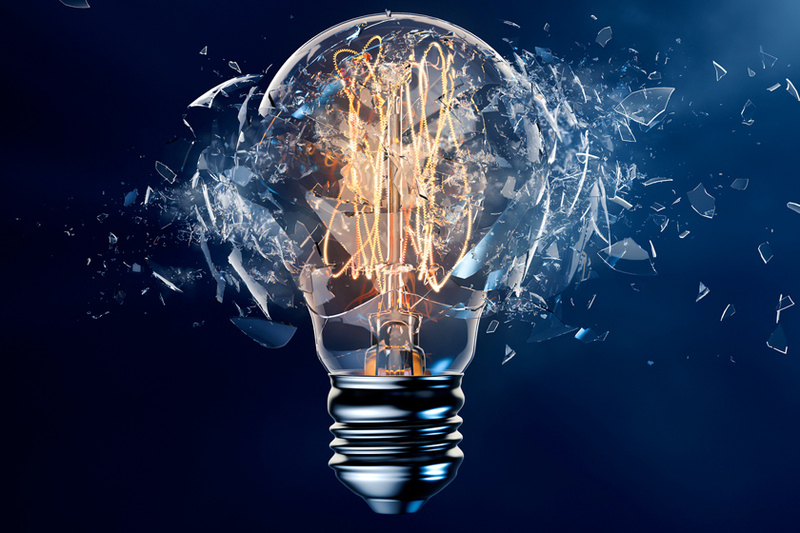 Disruption can have large or small scale effects, from generating higher revenue streams for your businesses to simply getting the attention of your customers by shaking things up. FECs and arcades represent great value for the money in today’s out-of-home entertainment market. Compared to the cost of admission for an amusement or water park, or even lower cost alternatives like the movie theater or bowling center, guests get great value for the money spent, on average, for a few hours of social fun. Throw in a premium attraction, and you’ve given guests something they can’t get anywhere else – at a great price. Let’s investigate some ways you can look at disrupting operations in your arcade or FEC. Disruption is simply a buzz word for reinvention. How can you reinvent your product and service offering to benefit your venue? Have you made the jump to a card system? We’ll start off with the basic and most obvious disruptor to the FEC landscape: The Arcade Debit Card System. Debit Card Systems have completely changed the FEC and arcade business, but not everyone has made the change. It’s not entirely surprising, given the cost of implementing a debit card system, but the return is more than worth the investment. Debit Card Systems have changed a lot since they became widely accepted a little over a decade ago, so if you haven’t looked at them for a while, maybe it’s time to reconsider. Debit Card Systems reduce costs. Say goodbye to the costs of many consumables like tokens, tickets and other items required for traditional FEC operation. Implementing a card system with eTickets can cut your costs dramatically. You’ll also stop paying staff to spend time completing menial tasks like cleaning the ticket dust from cabinets and ticket eaters and restocking games with tickets and tokens. Card Systems improve operating efficiency. There is a lot of manual labor involved in collecting the physical money that a machine has earned and calculating its performance. Multiply this by a few dozen games and you’ve got the recipe for a recurring headache. Debit Card Systems provide analytics and reporting on game performance, which provides the data you need to make informed business decisions. It’s proven that guests spend more when they play with a debit card. You have the ability to easily offer play packages and create upsell opportunities. 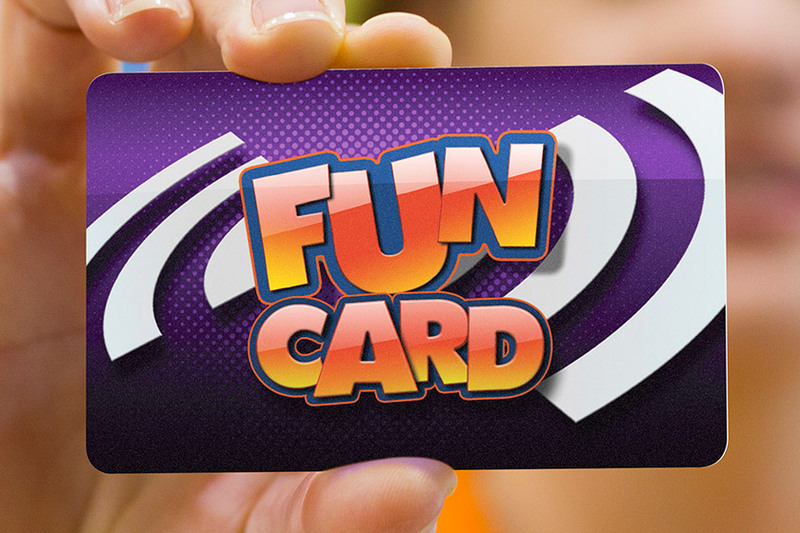 By controlling what games people can play with the card package they have purchased, you can control and influence guest spending, and just like any business, the more control you have over the environment, the more you can influence your revenue potential. Much more than just card operations. If you operate an FEC, offering food and beverage has been proven to keep guests spending more time in your venue. People generally have an attention span of a few hours before they need to change pace or simply take a break to refuel with some food. By offering food or drink at your venue, people aren’t forced to look outside for these options. Along with the revenue that those items bring, you also have an opportunity to re-engage the guests for another round of play. If you operate a movie theater or bowling center, you’re also looking for ways to keep guests in your venue longer. Generally, once people have seen the movie, or finished their game of bowling, they are ready to leave your venue. Game rooms can disrupt the guest experience in these types of venues, and operators are seeing significant increase in revenue with the addition of games or attractions. Movie theaters, trampoline parks, roller skating rinks and bowling centers are all prime examples of entertainment venues that can benefit from the addition of a game room. Don’t have room for an entire game room? 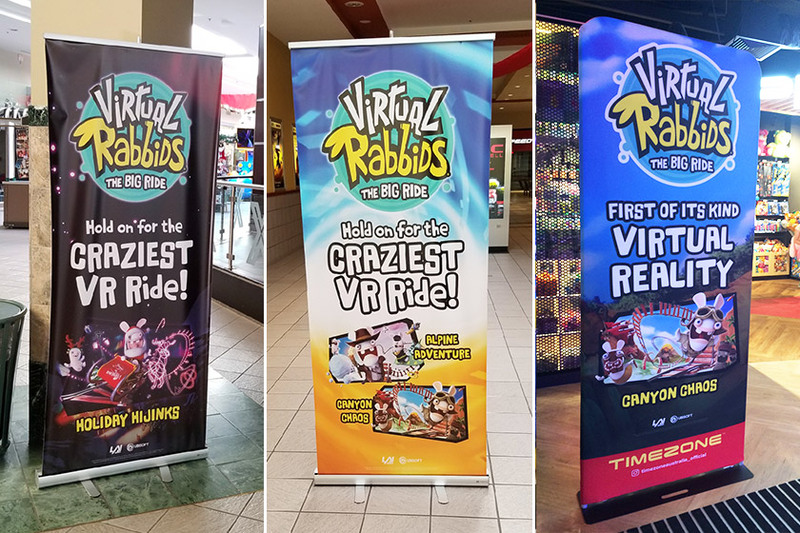 Look for some key attractions, like crane games, prize redemption games or the best option available today, the industry’s first unattended virtual reality attraction, Virtual Rabbids: The Big Ride. Virtual Reality, the next big thing. There is no question that Virtual Reality is the next big technology shift for out-of-home entertainment. 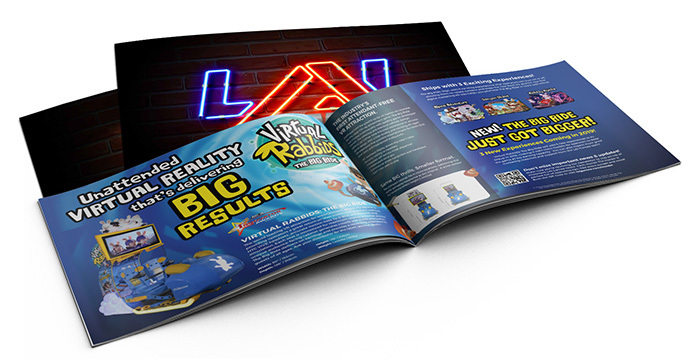 LAI Games Virtual Rabbids was a game changer and the industry has taken notice. It has made VR practical and affordable for all types of entertainment venues. 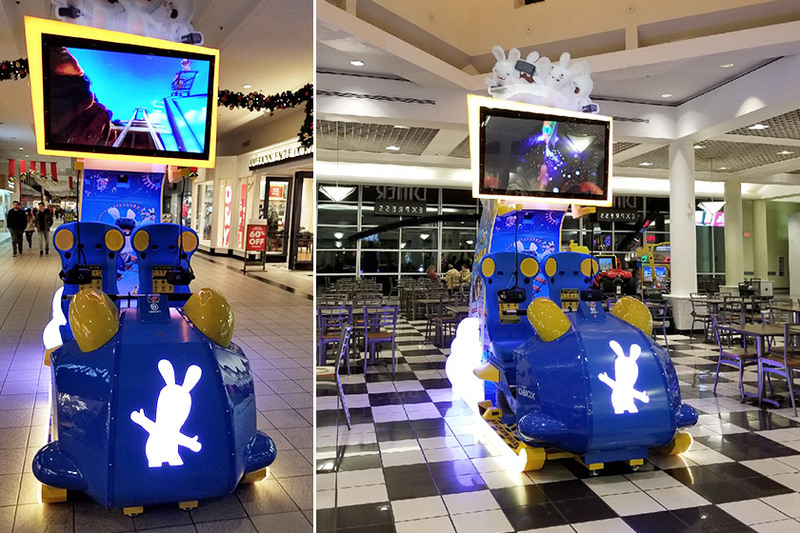 Even mall and route operators are realizing the benefits of operating Virtual Rabbids in the US and the UK. If you’re ready to take Virtual Reality to the next level, you can start looking at bespoke, staffed VR attractions for your venue, like Hologate and Omniverse. Larger, bespoke VR installations can boast a higher price per play, but it does come with a higher price tag for operators. Look through your options and take into full consideration your square footage, venue traffic and cost. Virtual Reality takes up less space than traditional FEC staples like laser tag, bumper cars or go karts. It also has the added benefit of being able to deliver new content without completely overhauling the installation. These types of attractions tend to sell themselves as well because aside from being a brand new experience, guests can see others enjoying the attraction and want to get in on the fun. If you are looking for VR additions to your venue, here are a few extra considerations when looking at your options. There is sometimes a little overlap in the intellectual property between console games and arcade games, and that’s fine. It’s a great strategy for operators to license popular IP in order to attract attention to the concepts that guests know and love. One thing to be mindful of is offering content that can’t be found anywhere else. Virtual Reality platforms tend to excel in this area, but make sure the experiences you offer are unique and popular enough to have some longevity. Put it front and center in your location. If you’ve made the investment for a full VR installation, don’t stick it in the back corner of your venue where it won’t get any foot traffic. You want guests to see other guests playing and experiencing it firsthand. If customers can see it, they’ll spend their money on it. When does your venue start to get busy? 4pm? 5pm? Send some staff members over to your VR attraction at that time and have them play a game. Guests will see the exciting game play and start to line up for their turn, which should keep the excitement going through your busy period. Running multiple VR experiences in close proximity. Virtual Reality is still an emerging technology. The products and services that exist to support them will continue to emerge and adapt. A topic that has recently come up from operators experimenting with VR products is the idea of VR Interference. VR Interference can happen when multiple virtual environments exist in close proximity, which can cause unexpected results in the operation of VR games. This does not mean that any of the games are broken are defective, it just means that operators must plan for and work within the current constraints of a new technology. Staying educated as an operator is a big part of keeping up with technology. It’s important to work with partners, vendors and manufacturers that are proactive with research and support when hurdles are uncovered. LAI Games prides itself on our product and customer support. We recently written an article on VR Interference, because we believe that if you’re not part of the solution, you’re part of the problem! Extending the Reach of Your Arcade Games. LAI Games introduced a new concept to the market a few years back with the release of their Snapshot 2 Photo Booth – a concept with the ability to create disruption in the FEC and arcade space. Photo booths have long been a popular staple in and out of arcades and entertainment centers for decades. There is something nostalgic about the black and white filmstrip format that the photo booth delivers, but in the modern age, every guest walks around with a phone in their pocket. The traditional photo booth has lost its nostalgic appeal now that everyone can take a selfie any time they want. 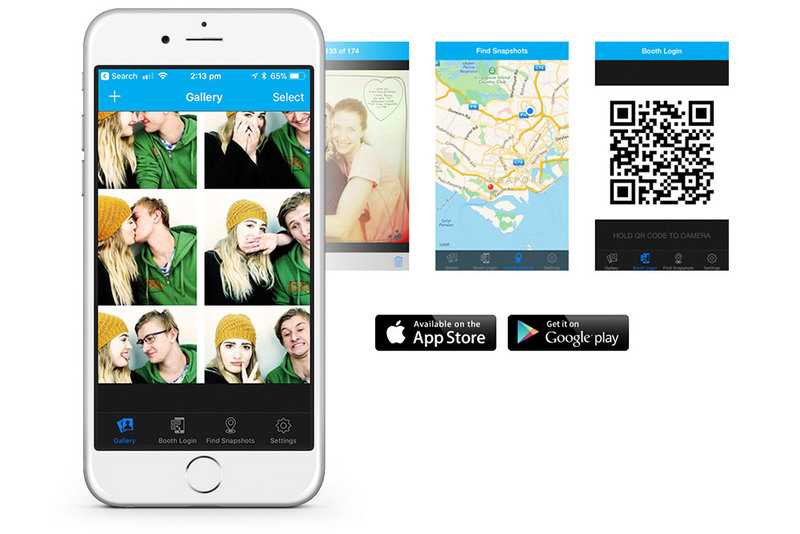 Snapshot 2 harnesses people’s digital social interaction by allowing people to take photos at the booth and send them to their phones through its companion app. Snapshot 2 also lets people print photos from their phones at the booth. This new mechanism takes advantage of the guest’s behaviour and makes it part of the process. There is a lot of room for growth around the concept of companion apps, with some exciting developments on the horizon for LAI Games in this space. Bridging the gap between virtual reality and the companion app is augmented reality. We’ve yet to see anyone take advantage of what this exciting technology has to offer, but our prediction is that it won’t be long before FECs can start to see game manufacturers start exploring what it has to offer. Marketing, whether it’s inside or outside your venue, is responsible for a huge part of your success and is an area where many operators have the capacity to reinvent themselves. Many FEC owners operate under the premise that if they buy a popular game, all they need to do is set it up and wait for the revenue to roll in. This may work for route operators, or smaller locations that don’t have a wide selection of games, but for larger venues, it’s important to market your new games in order to realize their full potential. Arcades are loud and visually distracting. Your new game may not be as obvious to your guests as you think it is. You should be advertising your new games on your website, social media and in-store on your TV displays. Pinballz Family Entertainment Center in Austin, Texas has an impressive way of displaying the games they have on offer at their venue. Print pull up banners, posters or counter signs so people see your new games and seek them out. Having advertising inside your venue also encourages repeat play. LAI Games makes Media Kits for many of its games and is always happy to help our operators with marketing support. Reach out to our marketing department if you want to find out how we can help your team market our games more effectively for you. There is always room for growth, so take a good look at your marketing, and ask yourself these 5 simple marketing questions. Attract new audiences with social media advertising . Social Media advertising allows you to specifically target by region and interest, making it a very effective way to reach people in your area who are interested in your offering. Email your customers and entice them to visit. Your email subscription list is one of the best marketing assets you have. If you’re not actively building it, you’re missing out. Make sure you send out an email or newsletter every time you get a new game in your location. Incentivize people to come in for another visit with a special offer. Think of your staff like your customer-facing marketing team. Make sure they’re knowledgeable about all your products and offers. This applies to all staff, not just certain departments. If you have a restaurant or bar in your FEC, make sure that your bartenders and wait staff know how to talk about the games. They have the opportunity to create excitement for guests and should be able to talk about all your attractions with confidence and enthusiasm. Incentivize your staff to proactively interact with customers, and take your guest experience from good to great. If staff enjoy playing certain games, you have a great exchange waiting to happen! Staff will be able to genuinely talk to guests about why they like the game, offer tips on how to play it better and genuinely build excitement for your business. Descriptions, images, testimonials, product measurements & specs.